Great list and great reviews. 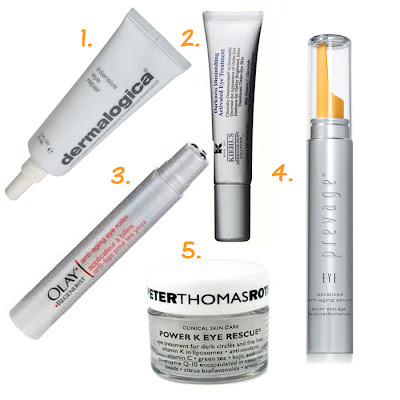 I have tried the Olay one and the Prevage. I have to be honest, I am quite lazy to put eye cream on though I really, really need some! There are plenty of available choices when it comes to under eye cream, all of which have formulas meant for treating various problems. In case you are after something that can lessen the appearance of sagging and wrinkles, go for an under eye cream that is anti-aging.